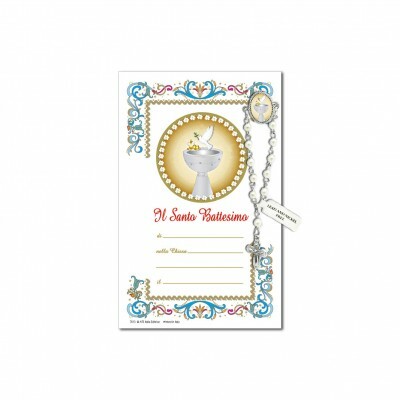 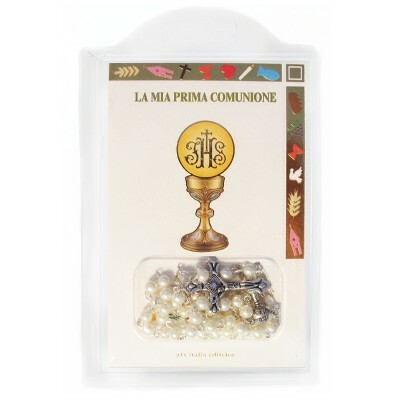 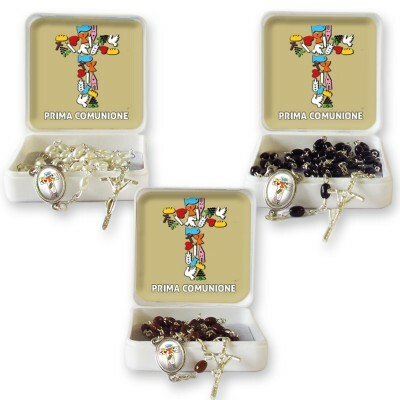 First Communion There are 19 products. 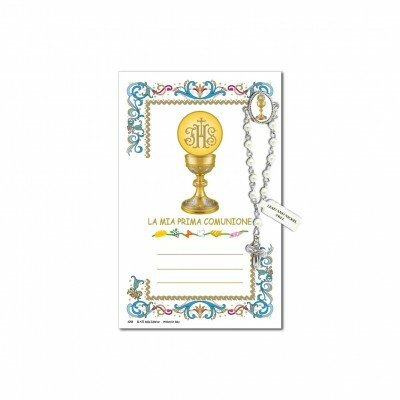 Holy picture on gold blocking print in parchment paper with prayer and decade rosary pin. 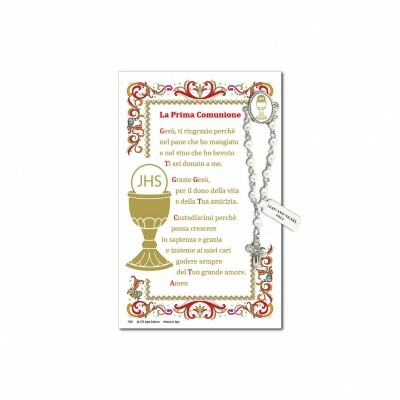 Holy picture on gold blocking print in parchment paper with decade rosary pin. 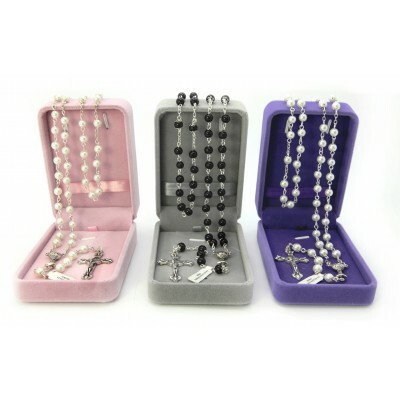 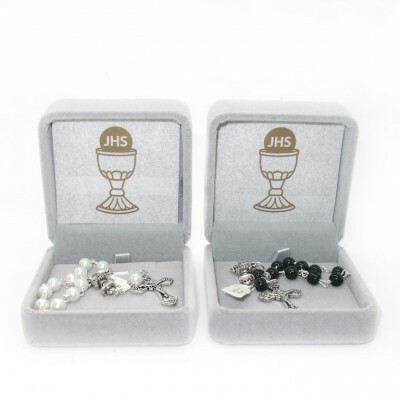 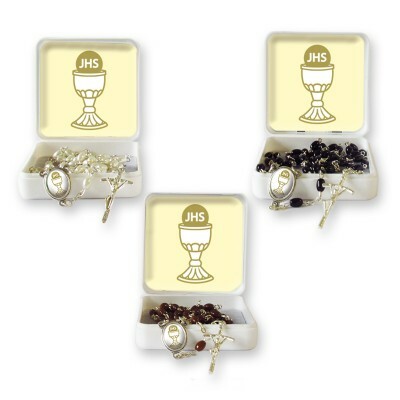 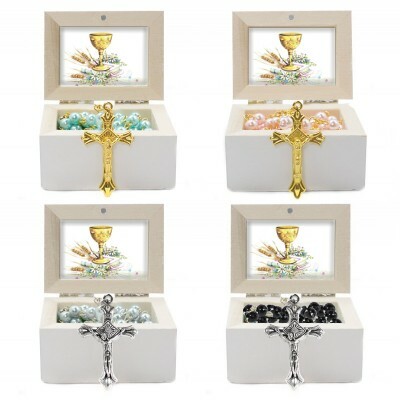 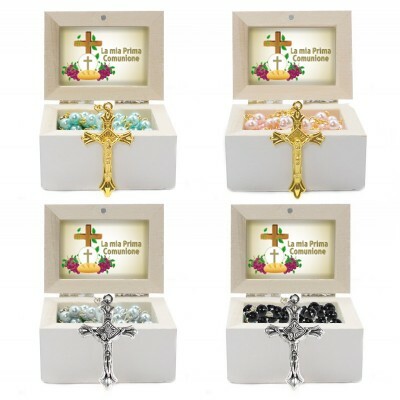 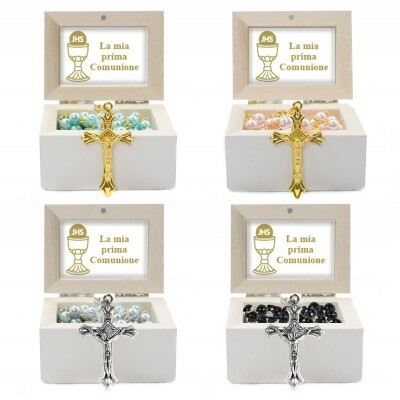 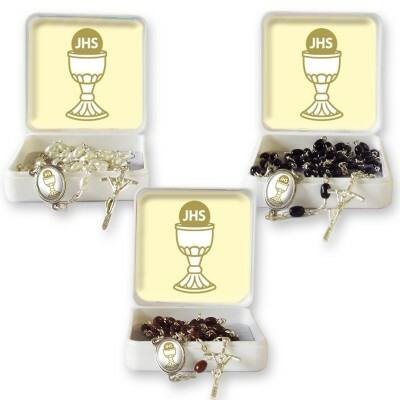 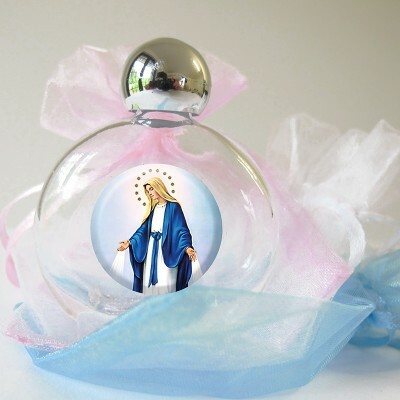 wooden jewellery case with glass rosary (pink/light, blue, black, white) and written " JHS " golden .